A memo from a community college president clearly spells out that unions suggested having their contracts reopened expressly to circumvent Michigan's right-to-work law. In addition, the memo states that Macomb County Community College (MCCC) offered to cooperate with the unions in that effort. This week, the community college made good on its offer. It approved four renegotiated contracts, including one contract that had been approved just four months ago. "Many unions are asking that public employees extend existing contracts for 10 years so as to avoid the impact of the new law [right-to-work]. Macomb has been approached by all our unions, acting through the AFT [American Federation of Teachers], to extend all of our current collective bargaining agreements by 10 years. "The college was willing to consider entering into full negotiations with each union as to wages, hours and terms and conditions of employment. 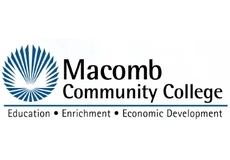 This offer to negotiate early has only been accepted by MCAAP (Macomb College Association of Administrative Personnel] and MCCFO [Macomb Community College Faculty Organization]." The MCCC's Board of Trustees approved four renegotiated contracts Tuesday evening. Approval of the contracts before March 28 (when the right-to-work law goes into effect) allows the unions to continue to force its members to pay dues or fees as a condition of employment. Three of the contracts expire in 2018. The fourth expires in 2016. Among the provisions of the new agreements are wage increases and reinstatement of "step pay increases," which had been previously frozen. A contract that had been approved in November was among the four that were re-opened and changed. In his Feb. 15 memo, Jacobs gave an explanation as to why most of the unions declined the community college's offer to reopen contracts. Jacobs said it was because reopening their contracts would make them subject to recent health care changes. MCAAP and MCCFO took the offer, he surmised, because they were going to be subject to the health care changes before the end of 2013 anyway. The only mention of potential savings to the college Jacobs mentioned in the memo were implicit savings resulting from MCAAP and MCCFO having changes made to their health care a few months ahead of time. Under the new contract, MCAAP undergoes the change three months sooner and MCCFO makes the change four months sooner. Two board members voted against the new contracts. They were Frank Cusumano and Joseph Desantis. "Given the fact that Macomb County residents have sustained a 25 percent decline in median household incomes since 2000, increases in pay and benefits for public-sector employees at the college are unconscionable," Cusumano said. "I am opposed to all those 'revenue enhancements' on the backs of the students — already burdened by massive debt loads — on principle. Increased wages and benefits to college employees are not fair or balanced relative to the students' interests." At the board meeting, Cusumano made a motion to delete the contract items from the agenda and called for a special meeting within seven days so that the public could comment before a vote was taken on the contracts. That motion was defeated 4-2. "I think based on the potential effect this might have on their appropriations, Macomb Community College officials should be concerned," said. Rep. Tom McMillin, R-Rochester Hills, chair of the House Oversight, Reform & Ethics Committee. "The legislation that applies to community colleges holds them accountable in the same way that universities would be held accountable." Rep. McMillin was referring to legislation in the House Appropriations Committee that would cut university appropriations if they aid unions in circumventing right-to-work without getting significant relief for taxpayers in exchange. Rep Pete Lund, R-Shelby Township, said the MCCC contract changes had better result in savings for the college, or there will likely be repercussions. "I haven't seen the details of the contracts yet," Rep. Lund said. "But if the unions were willing to throw their members under the bus in order to get around right-to-work, that would be one thing. If that's the case, and students benefit, it will be viewed differently than if the contracts just benefit the unions." MCCC officials did not respond for requests for comment.